The concept of segmentation has been around since at least the 1920’s, and has been employed by businesses and events of every shape and size. The idea is to try and understand the commonalities amongst your most valuable attendees (or potential attendees), and how they might differ from everyone else in your event’s universe. That way, you can be much more targeted in your event marketing strategy; and develop a strong brand and positioning that will particularly appeal to your high value customers. However, given there are so many different ways to potentially segment your audience, how should you go about doing it? Here we cover off 5 popular ways to segment a market, and how you might use them to improve your event’s marketing and promotional efforts. 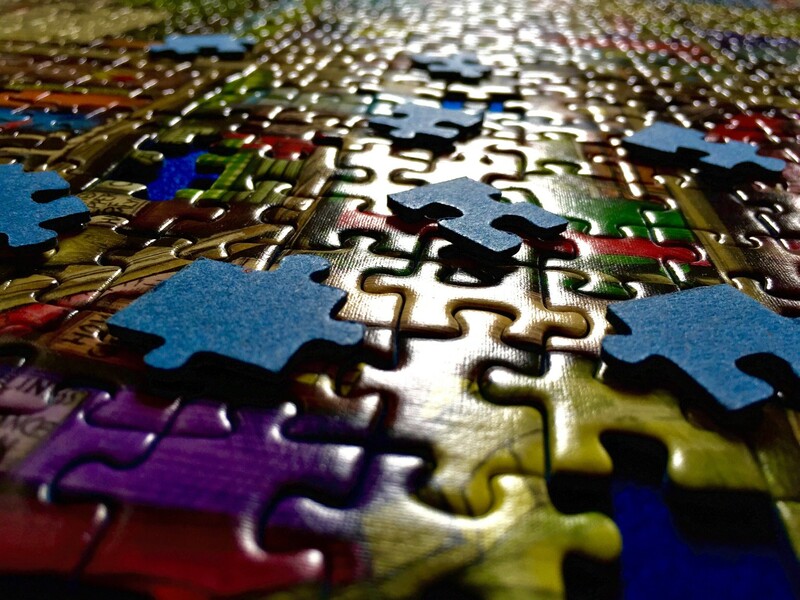 One of the simplest places to start segmenting your audience is based on geography. For example, let’s say you run a national consumer exhibition for hand-made arts and crafts, based in Manchester, and so your current marketing plan targets everyone in the UK. What you might want to do is segment your ticket buyers based on their location, and see if spreading your marketing budget (and efforts) across the UK is the best thing to do, or whether most of your tickets are bought from certain parts of the country (for example in the vicinity of Manchester and nearby towns or cities). You can also zoom in for more granular information if you’d like. 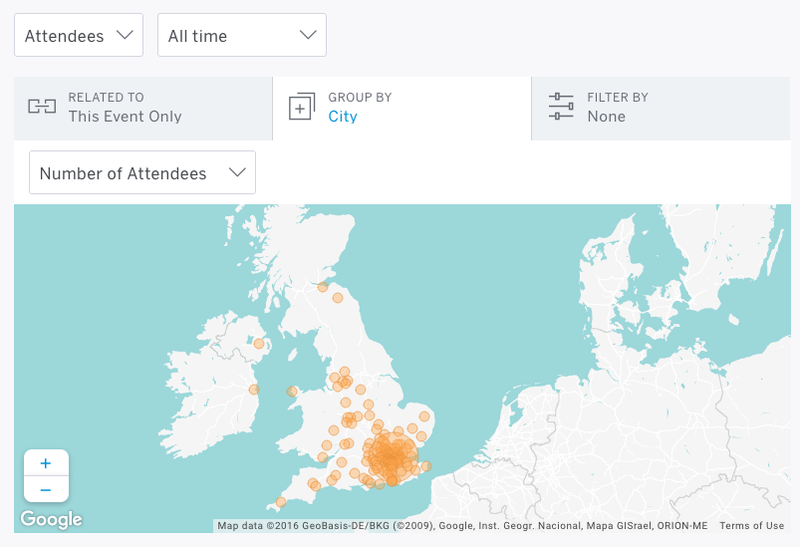 By segmenting your attendees by geography, you can start to see a more targeted picture of where in the UK (or the world) people are coming from, and learn whether or not it would make more sense to target your marketing spend in specific geographies rather than ‘everywhere.’ This should lead to a much stronger marketing ROI for your events. This is perhaps the most well-known segmentation technique for marketers. It is a way of looking at your potential attendees based on a common attribute such as age, gender or marital status for example. Often organisers will combine several attributes to come up with a very targeted attendee segmentation, which is then named and becomes a target persona. So for example, it might be that your event targets single females aged 30-45, or retirees who own their own homes, or Christian men with young children. Whatever makes sense for your event. To do this with Eventbrite, you can create custom questions that ask pertinent information at point of registration, such as their age, gender etc. then after the event, you can click to download your attendee report and see if there are any trends in who bought tickets versus who didn’t. This can then become a target persona for future events. To paraphrase slightly, firmographics are to B2B events, what demographics are to B2C events. This is a way of segmenting your potential attendees based on the type of company they work for. The most obvious way to do this would be based on what industry they work in (e.g. aviation versus manufacturing), often known as vertical segmentation. However, another very common way to segment event audiences is based on the job they do, such as ‘marketing,’ ‘sales,’ or ‘human resources,’ which is a form of horizontal segmentation across different industries. Other ways to target your attendees based on firmographics would be company size, revenues or profits. Psychographics is the study of personality, values, attitudes, interests, and lifestyles. In essence, it is a way to segment your potential attendees by their internal motivations, rather than their external attributes. In terms of how to use psychographics for segmentation, One of the most well-known methods is the so-called Values And Lifestyles Segments (VALS), which bands people together based on certain outlooks and attitudes. Activators are at the forefront of innovation, consumer activity, and change and are the most open to new ideas, products, and services. They have wide-ranging interests and a strong sense of personal identity. Activators divide by motivation: Tradition Activators, Achievement Activators, and Self-Expression Activators. Traditionalists focus on preservation. They regulate social change, forcing reassessment of new ideas in the light of proven and established standards and ethical codes. Achievers relate achievements to the fruits of hard work and professional endeavour. They focus on success, status, and family. They value knowledge, influence, and qualifications. Seekers want individuality, self-discovery, display, and action. They actively seek self-gratification, excitement, experimentation, and sociability. Pragmatics like to play safe. They dislike standing out from their peer group and have a relatively low attachment to any particular lifestyle. 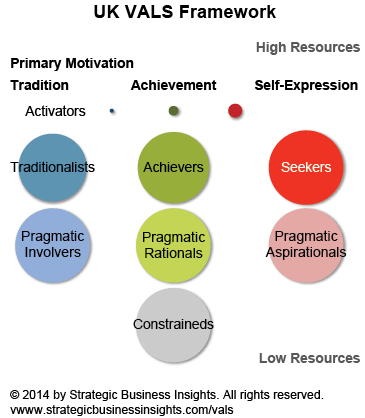 Similar to Activators, Pragmatic consumers differentiate by motivation: Pragmatic Involvers have a tradition motivation, Pragmatic Rationals have an achievement motivation, and Pragmatic Aspirationals have a self-expression motivation. Constraineds prefer to try to hold on to the familiar and the past. Their world consists of immediate family and a few friends, who reinforce rather than challenge or renew their opinions and ideas. For your events, you might want to develop custom psychographic profiles, such as ‘Networkers’ and ‘Wallflowers’ or ‘Team leaders’ and ‘Followers’ which will help you better target your marketing messages in the right way to the right people. A very popular way to segment your event’s audience – and potentially the most powerful of all – is to do so based on their observable behaviour. So for example, you should take all those people who purchased ‘early bird’ tickets, and place them into a segment. Ditto with everyone who bought late, or on the door. VIP ticket buyers should comprise another segment, as should anyone who was the lead booker for a group, or who is a repeat attendee. By segmenting your attendees in this way, you can start to devise more effective marketing plans to reach each of them according to their behaviour. For example, you should look to recognise repeat attendees with more personal marketing, or special treatment that makes them feel special and valued. Again, you can find all this information by checking your Eventbrite analytics dashboard, and grouping your reports based on ticket types. Segmenting your event’s audience is a powerful way to target the most profitable ticket-buyers in your market, and helps you focus your marketing budget and promotional resources on them. This in turn let’s you spend less time and money on segments that won’t respond to your messaging, and this leads to a much higher ROI for your marketing spend. How do you segment your event’s audience? Let us know in the comments below!